This is a worcksheet to work there is and there are. 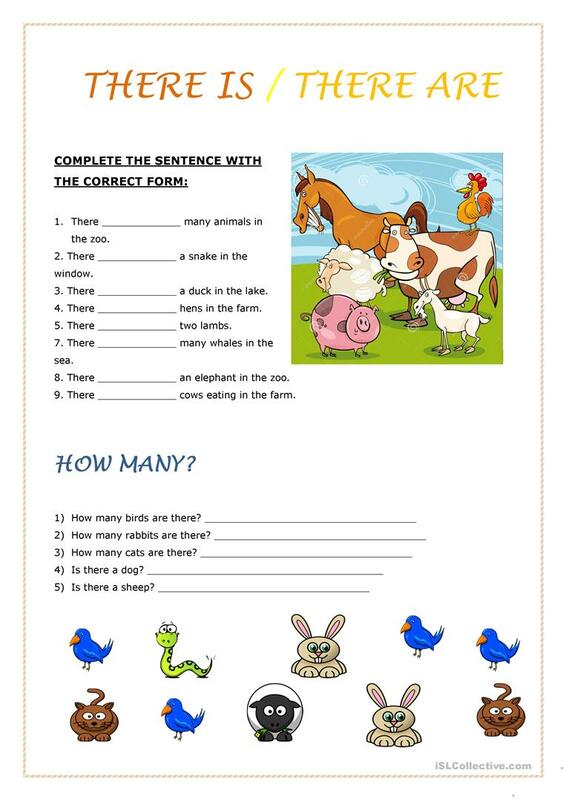 In this worksheet you could found two activities in which children have to work with the animal's pictures. This is an easy way to practice the grammar and know how to write it. This downloadable handout is recommended for elementary school students at Elementary (A1) level. It is valuable for practising There is / there are / there was / there were / there will be, etc. in English, and can be used for enhancing your class' Writing skills. It centers around the topic and words of Animals.